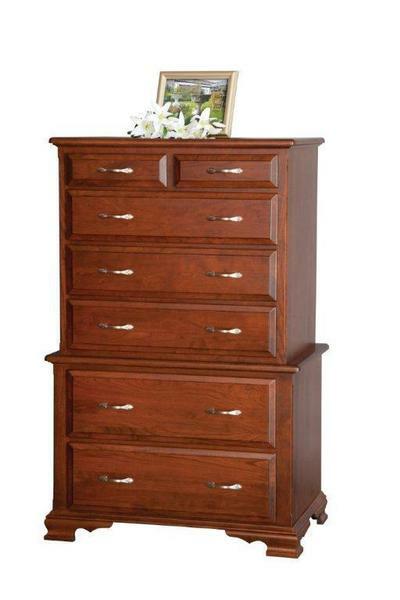 Allow our Amish 36" Chest on Chest of Drawers to be the storage solution for your bedroom. This stacked solid wood chest of drawers has seven total dovetailed drawers that can be used to keep all of your clothes and other items inside of. Enjoy a limited lifetime warranty with our Amish Chest on Chest of Drawers. Call us today if you have any questions or would like assistance for getting your order started at 866-272-6773. We look forward to working with you soon.